Along with a diabetes-healthy diet, diabetics may consume certain fruit juices, but in moderation. Whole fruits, however, are a better and healthier choice than juices. 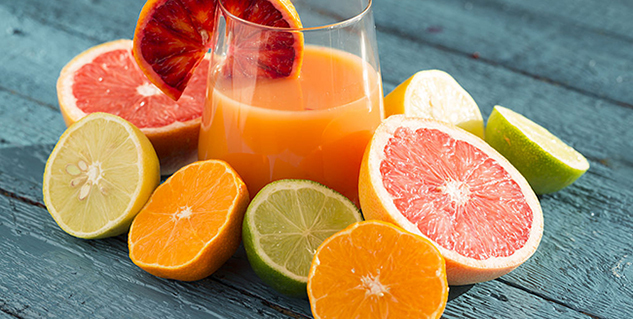 Juices, such as grapefruit juice, pineapple juice and orange juice, if taken in moderation, are considered appropriate for diabetics. All types of citrus fruit juices are superfood for diabetics as they are nutrient-rich, says American Diabetes Association (ADA). Apart from citrus juices, diabetics may also drink apple juice for it is rich in fibre, lemon juice as it is low on carbs, tomato juice as it is low on sugar content and carrot juice as it is juiced raw. All fruit juices, however, also contain significant amount of sugar, which can cause blood sugar levels to spike. Therefore, moderate consumption of fruit juices is advised. Carbs from juices also adds to your total intake of carbohydrates for the day. Having juice along with the meal can surely reduce the effects of sugar content of the juice. While citrus juices are low on Glycemic Index table, pineapple and orange juice is rated 46 and grapefruit juice is rated 48. Also Read: Can Diabetics drink Alcohol? Consumption of carbs present in the juices results in increased blood sugar levels, though the impact varies from individual to individual. Here are a few points that diabetics should consider if they wish to consume juices or other beverages. The recommended amount of a fruit or any other drink is 4 oz. per day. Drinking juices separately can lead to quicker spike in blood glucose level. Added sugar in the juices is a major concern for the diabetic’s well-being. Fruit and vegetable juice prepared with the original pulp is a good choice for diabetics. Two of the best juices for diabetics include apple and carrot juice. Recommended amount of juices can be taken if there is sudden decrease in blood sugar level as it happens during extreme workout session or fasting. 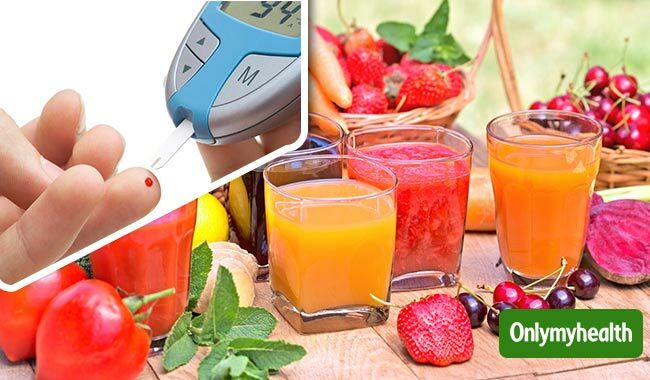 Carbohydrate content of every juice is different and therefore, the effect of consuming fruit juice on blood sugar level will vary from one fruit to another. Read the label of a container before purchasing to know the nutritional value and sugar content of the juice, suggests ADA. Juices with no sugar are among the best drink choices for diabetics. The amount of calories and carbohydrates in sugar-free juices are way less than in the sugary ones, though the latter are also high in vitamins and minerals. No matter what kind of juice you choose, every fruit provides a lot of carbs thus, making them a part of your meal plan would be the best. Low-sodium vegetable juices are an excellent alternative to fruit juices, as one cup of vegetable juice contains only 10 grams of carbohydrates and 50 calories whereas 4 oz. of fruit juice provides 15 grams of carbs and 50 plus calories.